Attwood Solicitors are recognised as one of the UK’s leading personal accident and injury specialists. An integral part of Attwood Solicitors brand identity is the ‘character egg’ which is used throughout the marketing strategy and accompanying materials. Each type of personal injury and / or accident claim is represented by a corresponding character. 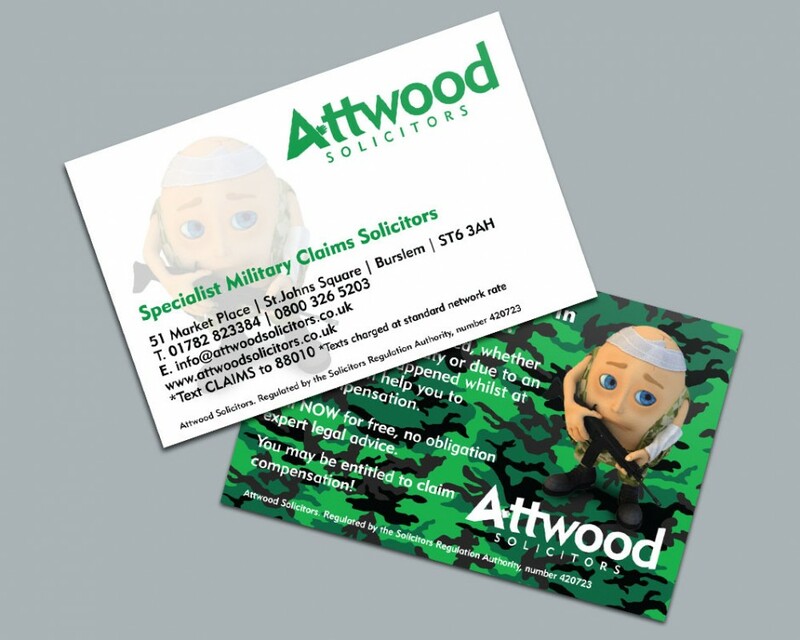 With the launch of a new specialist ‘Military Claims’ service, additional elements were required. We created a new character in keeping with the core style, accompanied by camouflage backgrounds to further strengthen the identity. The new graphics were then rolled out across the various elements of the campaign, print and corporate stationery.